LOVE this! I have had some ideas brewing for a while and this is just the thing I need to get them into reality. I have never designed anything before, so I’d be starting from scratch. Do I need the pattern test knit before publishing? Uh-oh. I think I need to knit some socks out of my queue before mid-April, because I suspect I’ll be adding a number from your contest! What a wonderful idea! Love the idea! I’m not ready yet to design socks, but I look forward to seeing everyone’s results. Fabulous group of judges! This sounds like so much fun. Yay! I thought this sounded interesting… until your snide comment about poor taste using acrylic. While it is nice to use something else, some of us don’t have all the money in the world to throw at unnecessarily lush and expensive yarns. May you know how lucky you are that you are in the number of elite that have turned knitting from a poor man’s necessity into a rich snob’s past time. I’m not a big fan of petroleum-based plastics/acrylics (they’re bad for the world and, in my opinion, pretty of crummy to knit with too) AND I knit & live waaay below the poverty line. So I was super excited when I discovered all the 100% wool (and wool/nylon blend, if you prefer) sock yarns out there that actually cost *less* per yard than craft store sock yarns! That’s an awesome idea. Sadly, I’ve never designed a pattern, and I’m rather intimidated by the concept. I look forward to checking out the nominees, though! Lindsay, I’m sure Elinor didn’t put the acrylic stipulation in there to be a yarn snob. Knitpicks has plenty of sock yarn that’s mostly wool and very economical. If she’s anything like me, she might just prefer wool and natural fibres over man-made petroleum products. I’m so stoked about this contest! Lindsay, you took snide to a whole new level here. It’s Elinor’s contest, Elinor’s rules, and Elinor’s joke about acrylic that you decided to turn an opportunity to call people names. There are PLENTY of very affordable non-acrylic yarns out there. (Knitpicks, for instance.) Elinor generously spent quite a bit of time putting together a contest and arranging prizes and judges for it. Calling her an elite, snide snob is rude and unnecessary. Hope she blocks you. Dude, what a pool of judges! I dislike both designing & knitting socks, so I’ll be watching from the sidelines, but I can’t wait to see what comes out of this! This is a fantastic idea, Elinor–I can’t wait to see the designs come flooding in! I’m starting to regret my judge status–suddenly sock ideas are swirling in my head!! I can’t wait to see the patterns this brings in! Thanks for putting this together, E! Wish I had the chops to design something, but I’ll enjoy seeing what others come up with. What fun! what an excellent idea!! i wish i had the extra time to join in but i will definitely be watching this one closely! lindsay, high acrylic content sock yarn is gross because IT MAKES YOUR FEET SWEAT AND STINK. yes, it’s true. go wool! Elinor, this is so fantastic. I cannot wait to see the entries. And for those of us who can’t knit in wool, Panda Cotton and Kollage Luscious are wonderful (acrylic free!) sock yarns. Yo, I’m in. If I can scrape together enough hours to write something up. You know how it goes … but I’m inspired! I’m with Danielle…if I can scrape up the time! I kind of need/want the challenge, though…and I’ve never designed anything before, so we’ll see. Well, I am not quite ready to start designing socks yet since I am only now making my second pair. But I can’t wait to see the creative ideas that are generated! I hear you, Elinor! I’ve been knitting socks, but they’ve only been stockinette recently. I probably won’t have time to compete (hello, I’m an intern teacher), but it will be fun to see the competitors! Excellent–I have a few patterns knocking around in my head that need an excuse and a deadline to become reality. With so many varied tastes on the judging panel, I bet there will be socks to suit everyone’s tastes. Elinor, this is a great idea and thank you for putting it all together. I think your specifications about fiber are perfectly reasonable and I hope you’re not giving a second thought to the rude comment above. Oooh, Elinor, what an awesome idea! I too have kind of lost my love for socks. I may have to noodle this a bit … April 19th, huh? Also, I’d like to say that perhaps even more than the VERY generous prizes you are offering what may prompt me to give this a go is Heather’s query: “If trip-hop were a sock pattern, what would it be?” I’m going to dig out my Portishead CDs. This is awesome, Elinor!! I’ve lost my sock mojo too, so this is totally timely!! I’ve never been one for designing socks but I might give it a go for this contest – if simply to see if I can do it! Damn, Elinor. I’m waaay behind on my blog reading (as in, like 15 months, ahem) and holy god I have obviously missed a lot over here. 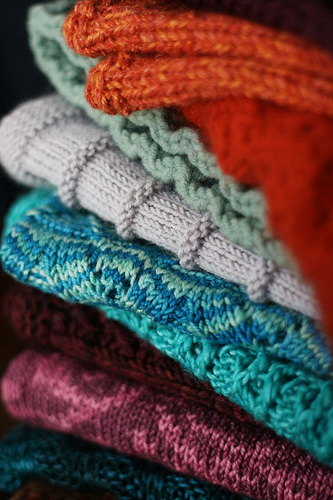 You have been churning out the knits! I am super impressed. Also inspired. I’ve never given much thought to my own sock designs, but your contest is the perfect reason to give it a go. Wow! What a great idea. I’m up to my eyes in knitting right now but would love to lurk. Are non-designers allowed to join the ravelry group and peek at the Flickr group? I sure hope so! I can’t wait to see the creativity that contest produces. It’s going to be tons of fun! Sounds like fun. Can an Australian knitter enter the contest? sound like a cool idea. i am soooo not that original though. i will be checking the action though because i need to be making my mom some more socks and soon!!! 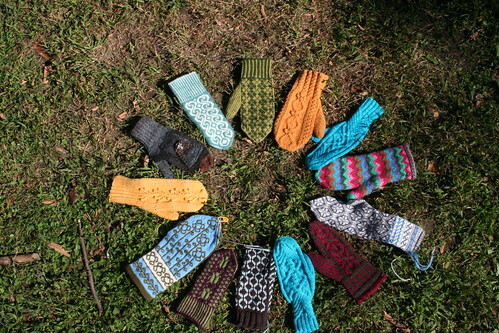 Okay, so say there were some brand-new indie-designed socks coming out in the new Knitty (mid-March). Would they be eligible? They haven’t been seen anywhere and will be available free on the internet within the dates of the contest. 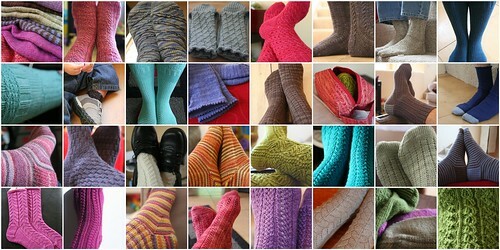 Could I submit a pattern that is based on socks I designed and knit prior to 3/1/10? The pattern doesn’t exist now, just a chart that I created and used to knit the socks.